I’ve been home for nearly two weeks after my seven week sojourn around Singapore, Bali and Cambodia and feel like I’ve done more in these two weeks than some people might do in an entire month. And I’m not bragging. I’m also not complaining. I’m just, well, ‘splainin, I guess? Or maybe I’m really humblebrag complaining? Who knows? What I am trying to say is that diving headfirst back in to teaching, work, life, and Abbie care almost as soon as I touched down in Portland, while necessary, has also been a bit overwhelming. 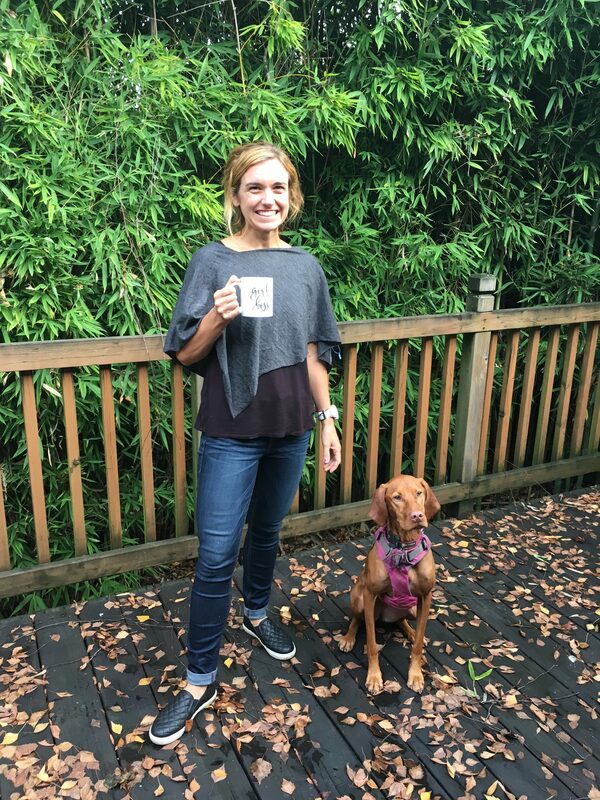 Catching up after 7 weeks away is hard work on its own; and when you add teaching and taking multiple classes a day, important meetings, events, and general ladybossin’ and dog mommin’ to the equation, you have little time for much else…like, for instance, a shower. Or a proper lunch. Or laundry. Or even a little me time. After back to back early morning classes, meetings and calls and an afternoon jam packed with work, I found myself sitting and staring at my to-do list with dread. Like not really reading it, just simply staring at it, almost willing it away…wishing some little troll was sitting on my desk striking through each line item so I could just be like, it’s crossed off, that means, I did it right? Realizing I was losing focus and possibly my mind (trolls on desks striking through to-do lists, uh, what? ), I decided I needed a change of pace. I got up and walked in my room and saw the cutest package sitting on my dresser (I am literally still going through my mail). 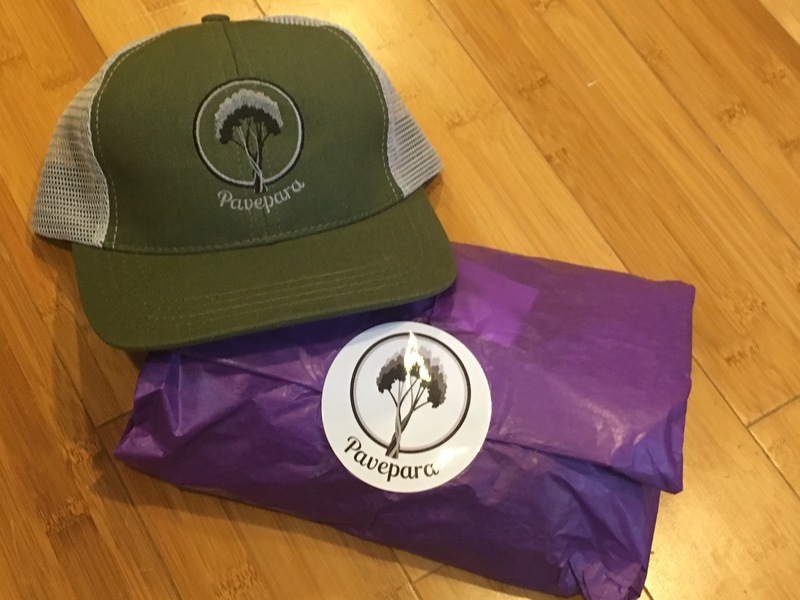 It turned out to be the best package ever…new, cute clothes (shorts, a poncho and a hat) from my newest obsession, Pavepara, a clothing line designed by a woman for women to take them from the trails, to yoga and through their busy days (hmmm, sounds familiar!). All of the clothes are super functional, while still being super cute! I tried on the Swift shorts and instantly fell in love; they’re perfectly soft and just oh, so flattering. After seeing myself in them (aka staring at myself in the mirror), I felt like maybe the universe was telling me to take my cute little shorts outside to play and run around. Like, not just go on a run. But to actually go and run around. So that’s just what I did. I threw on running shoes, grabbed Abbie’s Chuck-It and headed down to the park. 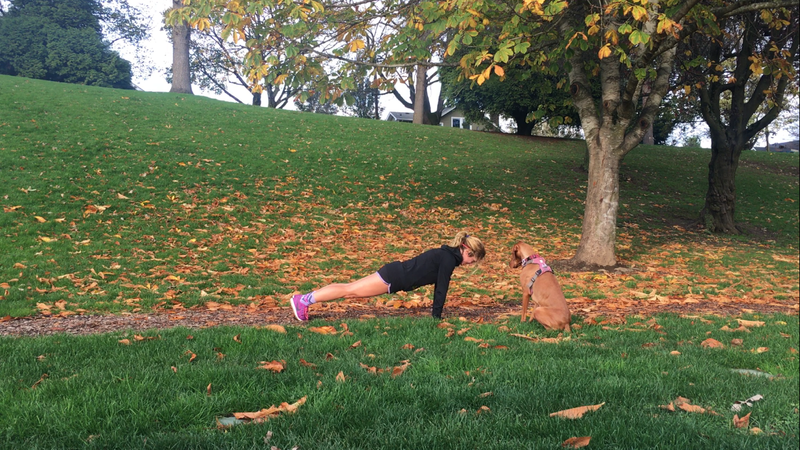 I decided to run laps around the park, while pausing every now and then to throw the ball across the field for Abbie while I did a set of push-ups, jumping jacks and mountain climbers. 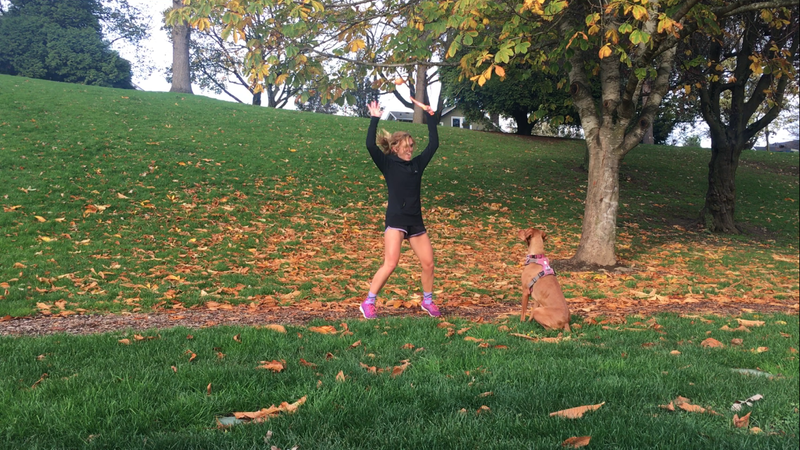 I ended up getting 3 miles in, not to mention a solid little workout and some amazing play time with my pup (I honestly don’t know if I’ve ever seen her so happy). 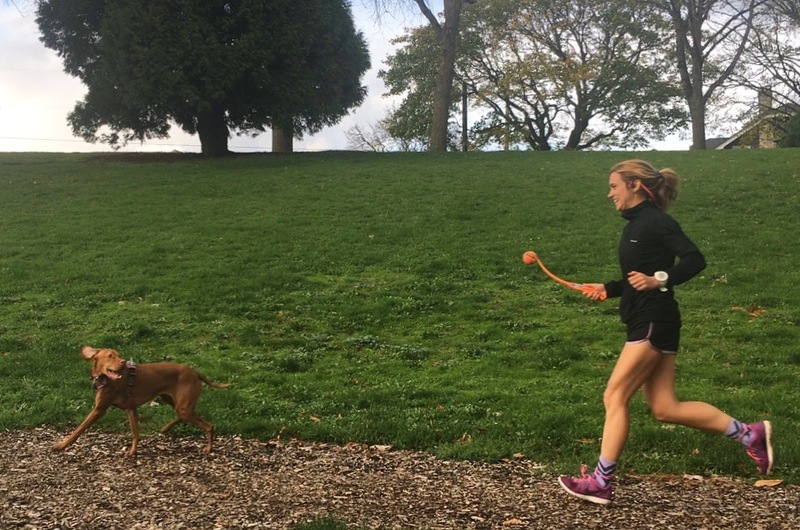 After running, playing, and push-upping, Abbie and I headed back home to warm-up…which for me meant a cup of tea and for her meant, snuggling under a blanket (spoiled dog alert). I figured since my new Pavepara shorts had serious superpowers, that I’d continue into my evening decked out in Pavepara gear. I tried on the Soar Poncho next. And it was the perfect layer for an afternoon of working, tea drinking and coffee meetings and took me straight into my night of teaching. It is so cute with jeans and layers perfectly with yoga clothes. I think it even makes me a little taller – or maybe I just feel so darn cute and stylish in it! Either way, I’ll take one in each color, please. Now that I’m feeling less stuck, my to-do list feels less daunting and I’m ready to keep taking over the world, one pink shoelace at a time. It’s truly amazing what a new outfit, a new attitude and a little change of pace can do for the soul. If you’re in the market for a soul-shaking, perfect pair of shorts, some cute layering pieces to take you from work to yoga and back again and other cute active girl pieces made for women by a woman that will inspire you to run, play, workout and of course make you look and feel cute all day, everyday, checkout Pavepara.com and grab 30% off using the code SWEATPINK LOVE (valid until 11/30). If not for you, could be a great gift idea for the active lady, friend, family member in your life…just sayin’, ya’ll. What’s your favorite way to get unstuck? *Disclaimer: This post was sponsored by Pavepara. I received items from them to review. That said, all opinions, words and thoughts are my own. I truly appreciate all of the brands that support the Sweat Pink community. 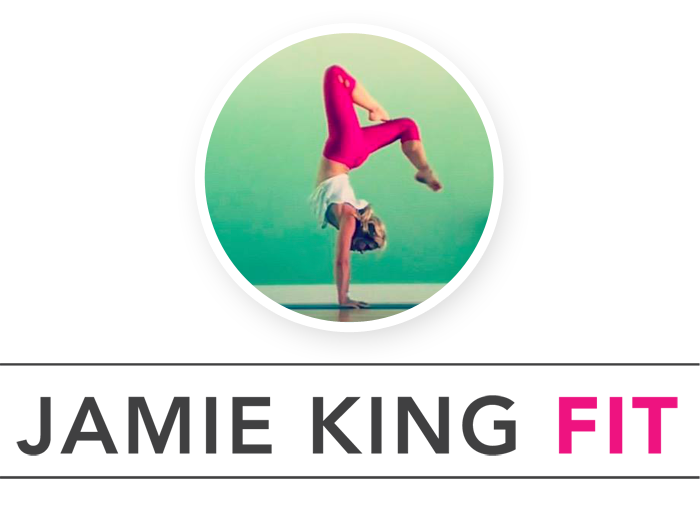 Five Things Friday: PINK Friday Deals! The best way to get unstuck, for sure! Super cute! Abbie is the best.